In a small pot heat the broth over medium-low heat. 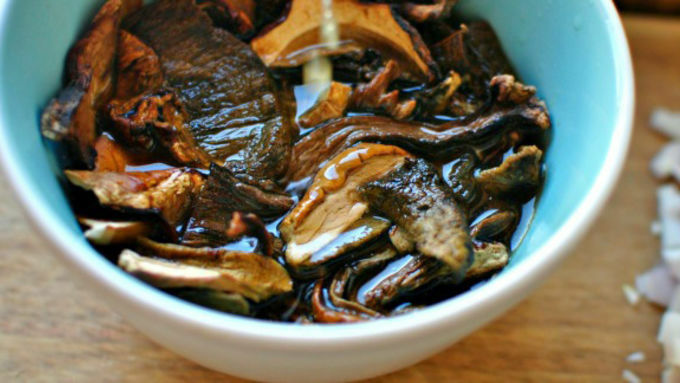 In a small bowl add the dried mushrooms, and pour a cup or so of warm broth over the top of the mushrooms. Let sit for a few minutes. Drain the mushrooms, reserving the liquid for later us. Roughly chop the mushrooms. Meanwhile add the 1/4 cup of olive oil into a deep 10-inch skillet and warm over moderate heat. 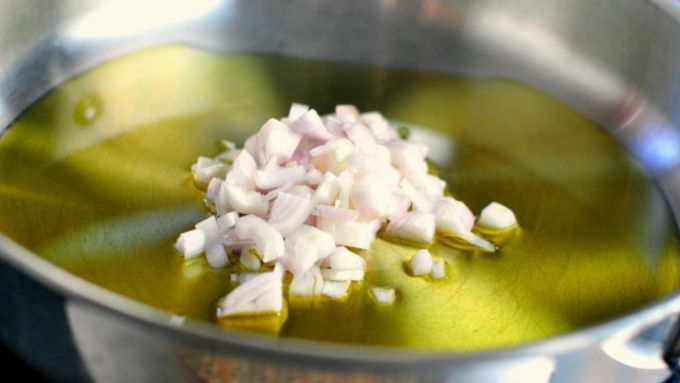 Once the oil is hot, add the chopped shallots, stirring occasionally until softened. 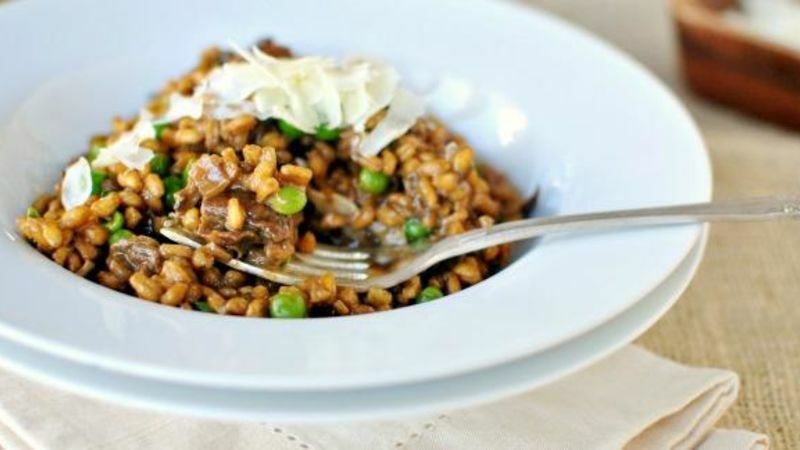 Once the shallots are soft, add the chopped porcini mushrooms and the farro. Give it a stir and then pour in the reserved mushroom liquid. 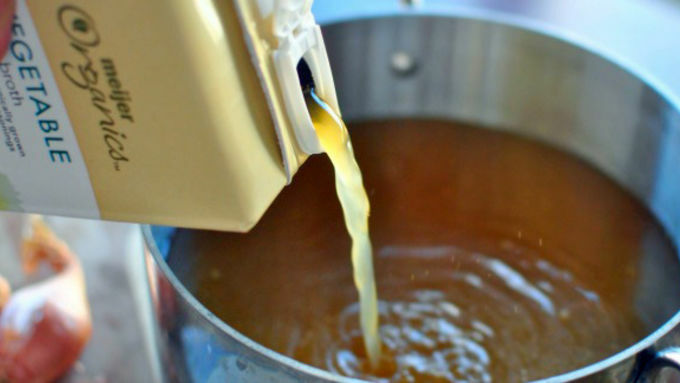 Stir and simmer until the farro has absorbed the liquid. 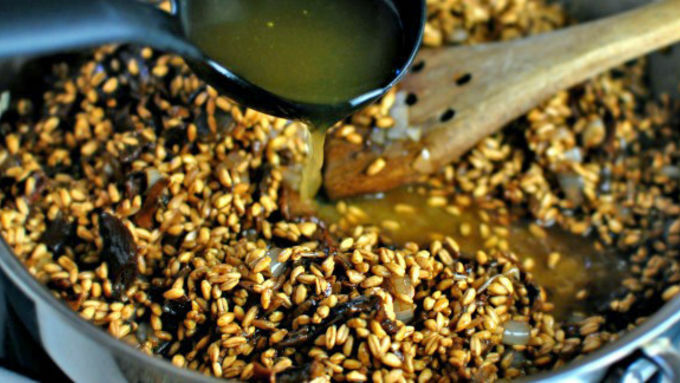 Next, add a ladle of warm broth, stir until absorbed, and repeat until the farro is tender but still has a little bit of crunch. Lastly add in the thawed peas, shaved Parmesan cheese, and fresh parsley. Taste test and season with salt and pepper as desired. 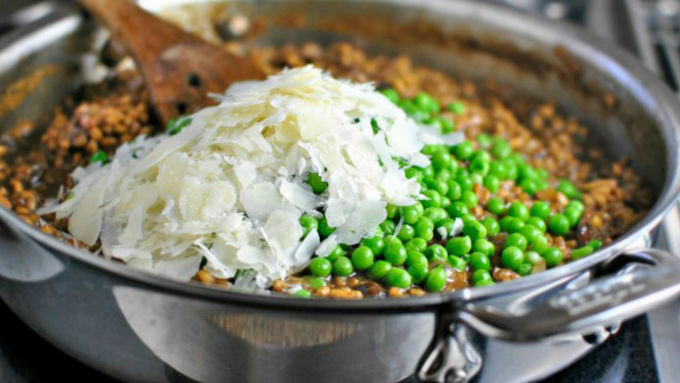 Serve with additional shavings of Parmesan as desired. What is porcini farrotto? 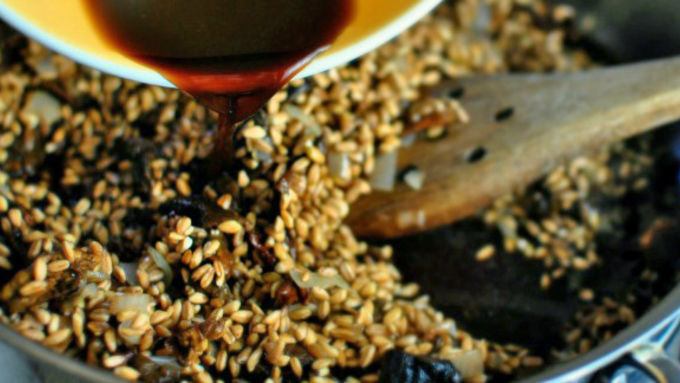 Oh, do I have a treat for you…in the form of farrotto. 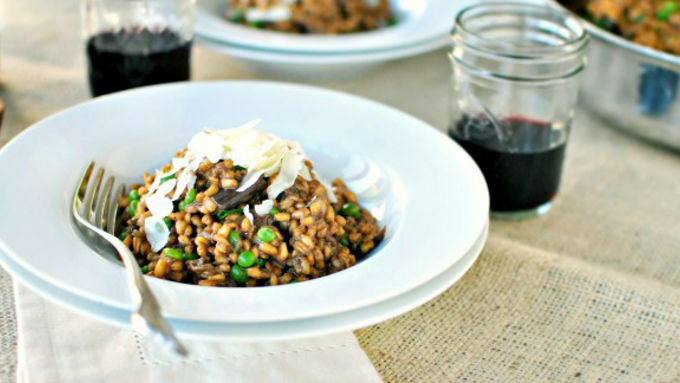 Farrotto is similar to risotto but with farro instead of rice. It's cooked just like risotto, with some patience and several ladles of warm broth. Serve in bowls with more fresh Parmesan cheese. Really, a bowl of farrotto, a toasty fire and a glass of wine is all I really need in life!